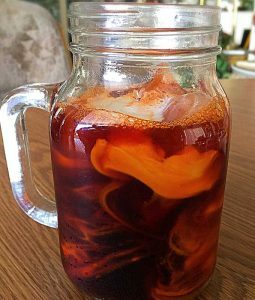 Behold… the Thai Iced Tea! 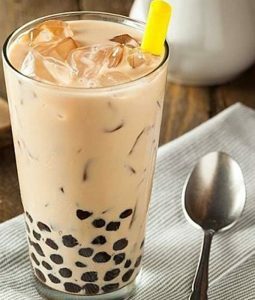 This is my drink of choice when dining in a Thai restaurant (it’s also my favorite bubble tea flavor! )… Goodness, if there was such a thing as a “tea crush” I’m heavy crushin’ right now! 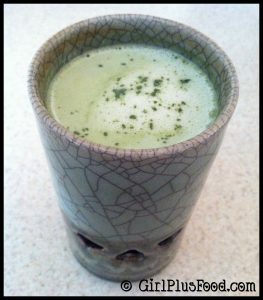 JRoc and I are brand new matcha green tea fans, and I’ve been happily experimenting with different recipes! This one had me pretty thrilled because what better way to start your day than with a healthy & delicious treat! And it’s quick & simple to make!! #bonus! !